What should I do if the error "iPad is disabled, connect to iTunes" crashes? What should I do if the error “iPad is disabled, connect to iTunes” crashes? Most iPad owners try to save their device by protecting it with passwords in case of theft. But sometimes caution "goes sideways" and instead of use brings continuous trouble. 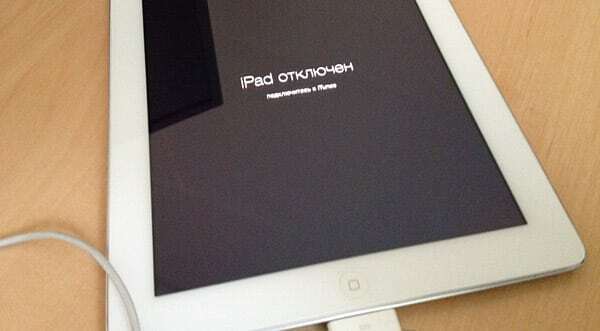 Modern devices, including the iPad, have some protection from hacking by unauthorized persons. So, if you enter the wrong password a certain number of times, your device will generate an error connecting to iTunes, and solving it is not so easy. If you forget the password from your tablet computer, then after 6 failed attempts, the device will require waiting first for 1 for a minute, then for five. Through 10 unsuccessful attempts to enter, your device will be disconnected, and the screen will be lit up the requirement to connect to iTunes. For users who previously synchronized the device with iTunes, there is a simpler solution to the problem if your gadget is disabled. Connect to the computer that was previously used to sync. Sometimes the program asks for a password even when connected to a PC. In this case, you can do 2 things: either try to connect the iPad to another computer, where synchronization was also performed, or go to the step described below, when the device was not synchronized at all. On the left, select your device and use the right mouse button to select the backup item. Then click on the device with the same button and select the restore item. This will help unlock your device after it has been disconnected. When the restore is complete, re-create all your files from the latest backup. This method is detrimental to all information stored on the iPad. It is suitable for users who have not previously worked with this device on a PC. What should I do to make your device work again? Connect to the computer. 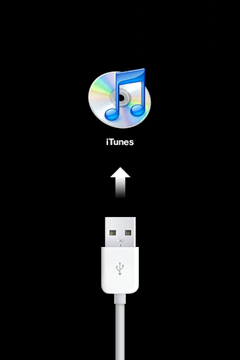 At this stage, an error often takes place requiring a connection to iTunes. In order to cope with the problem that has arisen, it is necessary to go through a series of simple steps that even an inexperienced user can easily take. The cable must be disconnected from the device, but connected to the PC. Reboot your device by turning it off, then hold down the "Home" item on the screen and in that position, reconnect to the PC. As soon as the message "connect to iTunes" appears on the PC monitor, release the key pressed on the iPad. The error disappears, instead of it there will be a message about the device that needs to be restored. The next step is to do the recovery through the PC, but after all the files from your device disappear. The iPad has an option that cancels the “disabled” screen mode after incorrectly entering the password. It’s up to you to change the options or not. Error with iTunes is very unpleasant, but it is a matter of security of your property. If you have small children in your house, or you yourself often forgetting to forget the correct password, then switch this parameter to “disabled” mode. However, if the device is stolen, attackers will be able to use it freely and freely escape responsibility. Today I have everything, now you know what to do in case of an error (Connect to iTunes) from iPad. Appsgames⟾Useful iOS⟾What should I do if the error “iPad is disabled, connect to iTunes” crashes?